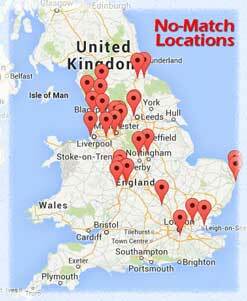 In 2011 No-Match opened the first store in Preston, Lancashire. We felt that the traditionally internet based product could have a huge impact on the high street, taking this incredible life changing product into the mainstream within a format that allows the customer to be in complete control. Three years later our success proves we were right. 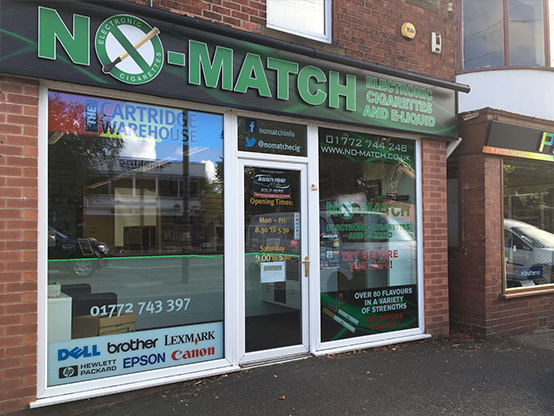 In January 2013, our first official reseller store opened in Warrington, since then many more resellers have joined the No-Match Family. We believe we offer industry leading support together with a huge range of products to satisfy the demand. We pioneered the retail market with our revolutionary “Try Before You Buy” approach and created a fantastic fluid range collectively known as our “Flavour Station” – often copied – but never matched. We are also one of the few companies who are members of ECITA the industry leading body, as such we must work within the framework of their ISE, we are regularly audited and our fluid is tested at random here in the UK by a UK public analyst. 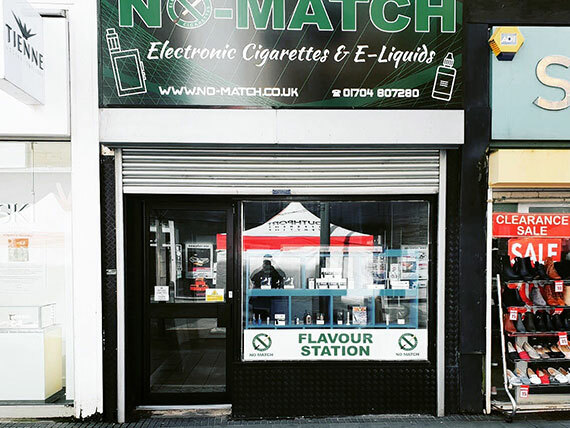 It's estimated that there are over 2.8 million electronic cigarette users in the UK alone, that may seem a large number but it is still only a small fraction of the number of tobacco cigarette users in the UK, the market continues to grow at an exceptional rate, there has never been a better time to join our family by becoming a No-Match Reseller. Existing business that adds No-Match. Whichever of the above options you fall into, once you’re accepted we are there every step of the way to guide you through the process to ensure you can maximize your potential. Products of Quality and Value together with the right product knowledge. Ok maybe that’s only 3 but location is incredibly important, customer service can be improved, our products are constantly evolving but the wrong location is a very costly mistake that cannot easily be rectified. Why joining the No-Match family works! 100% of your investment with us is saleable stock! Our resellers have a dedicated Reseller Manager – not only to help you start, but always there. We are not a franchise, as such we charge no setup or ongoing monthly fees. Full training at our HQ and Training Centre in Lancashire to provide you and your staff with product and safety knowledge – this is provided FREE of charge. Refresher training is also provided if required – again FREE of charge. Telephone support is available on weekdays. A dedicated page for your store on our website with photographs and google maps. We will promote your store opening on our website and via social media. 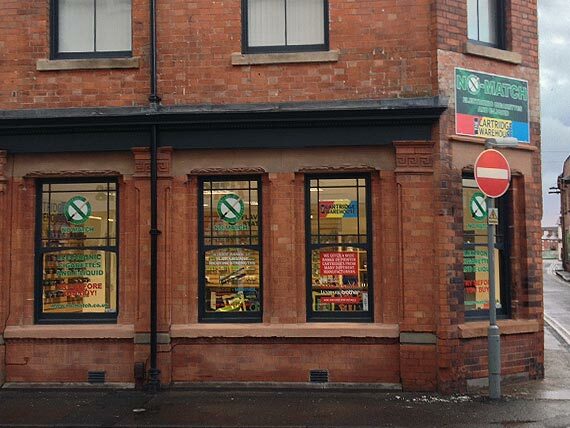 We provide window and internal signage Free of Charge. Included in your first order is a number of promotional materials to help you get off the mark. We provide a full range of testers for the range of fluids you take – Free of Charge. 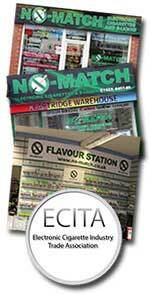 As we are members of ECITA you can advertise that fact without any costs to yourself. Next working day delivery from our warehouse, this can help hugely with your cashflow as you grow your business. Delivery is also free if over our minimum order value. Access to a huge range of advertising and point of sale materials free of charge. Access to subsidised bespoke artwork creation. Unlike most of our competitors, in most circumstances we do NOT allow any other resellers to open in the same area so you can be assured that you can maximize your profitability. Huge range of products with something to suit every taste. Unlike many of our competitors we do not undercut our resellers on our website. Many other reasons such as surprise packages, Wall of Compliance etc – we simply have No-Match! "Contact one of our team now on 01706 281 000 or fill out our contact form and we will be in touch. We can provide you with as much information as you need so that you can make an informed decision.